September 17, 1922 –The new $1,600,000 Madison Street bridge is lowered into position for the first time at 2:00 p.m., leaving the Clark Street bridge as the only center-pier bridge left in the central area of the city. It will be three weeks before pedestrians will be allowed across the new bridge, and it will be at least six weeks before traffic crosses the new span. The bridge’s sidewalks will be 13.5 feet, eight feet wider than the sidewalks on the old center pier bridge that is being replaced. Work on the new bridge began on December 1, 1919, but there is a long delay in the fabrication of the steel for the span. It isn’t until late September of 1921 before work resumes. In March of 1922 the bridge’s bond issue expires, and work was once again is ordered to a halt. In June Chicago voters approve a new bond issues, and work resumes on August 1. According to historicbridges.org“This bridge stands out among the bridges of Chicago as one of the most historically and technologically significant since it is the first example of a design that Chicago would use in construction on many bridges during a period of over 40 years. 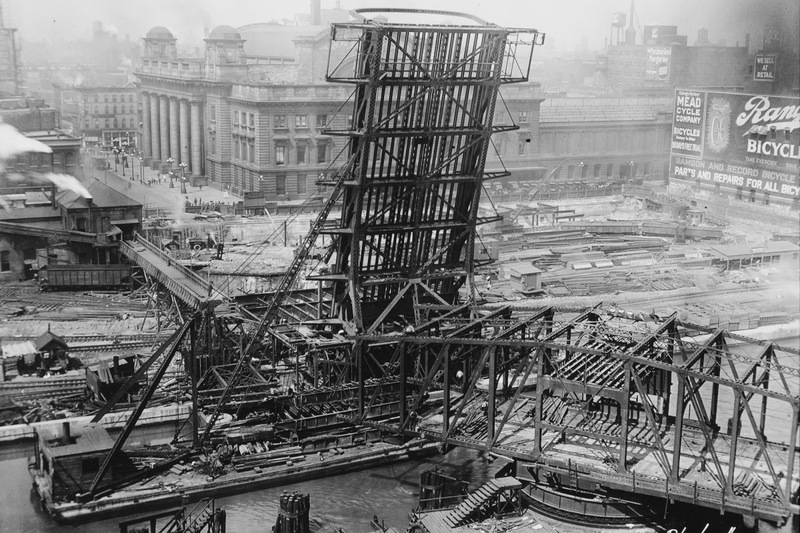 It also retains ornate sidewalk railings that greatly contribute to the visual beauty of the bridge.” The above photo shows the bridge under construction in 1922. In the right foreground is the swing bridge which it will replace. 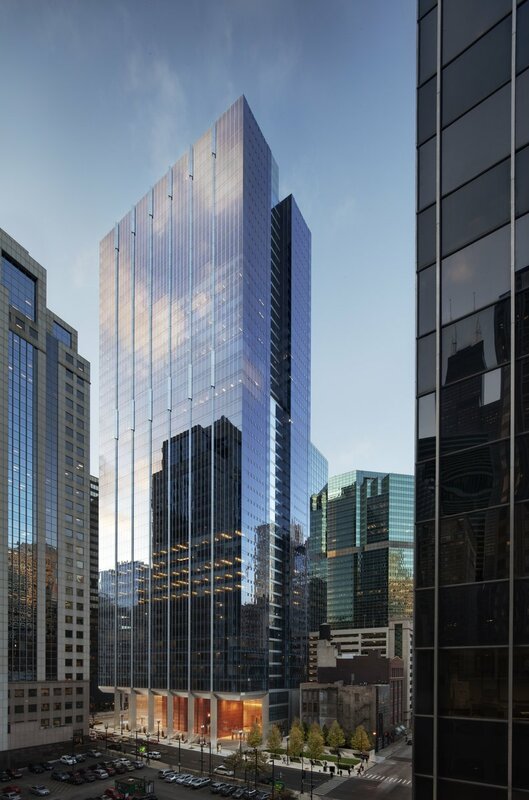 September 17, 1954 – The first new office building to be constructed in the Loop since 1933, the ten-story Sinclair Oil Corporation’s office building on the northeast corner of Wacker Drive and Randolph Street, is officially opened as more than 200 business leaders and officials from the state and city attend the ceremonies. The new building contains 225,000 square feet of office space and 14,000 square feet of basement parking space. The structure will consolidate various divisions of the corporation that were previously scattered in four separate locations. 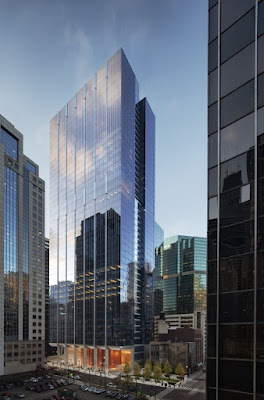 The building is gone today, replaced by the Goettsch Partners tower, finished in 2010, at 155 North Wacker Drive. The Sinclair building is outlined in the older photograph. The award-winning Goettsch replacement is shown to the left. 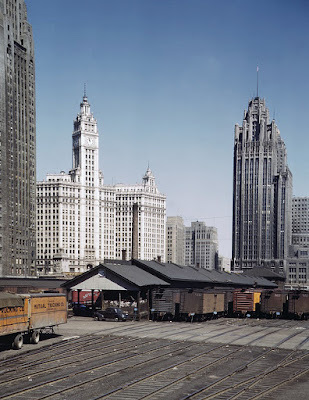 September 17, 1969 – The City Council, by a vote of 30 to 6, approves two ordinances that clear the way for the office and residential development that Chicago now calls Illinois Center. 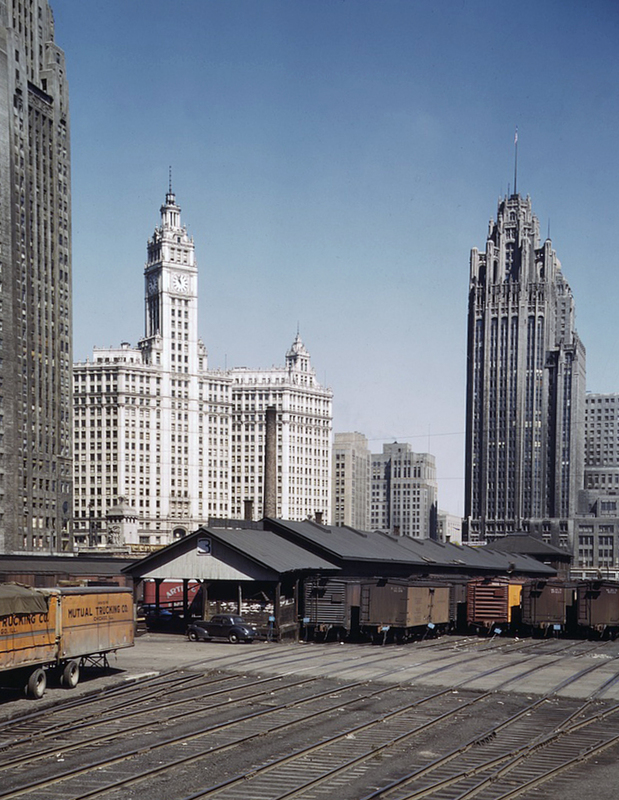 One ordinance establishes guidelines for the development of the area, and the other codifies the relationship between the city, the owner of the property, Illinois Central Industries, and three developers. The plan calls for buildings of up to 90 stories with 45,000 workers, 17,500 apartments with 35,000 residents. In an editorial the Chicago Tribune writes glowingly about the project, asserting, “Chicagoans must feel some exhilaration to see, at long last, this strategic area built on in a manner suitable to its location in the center of the city. 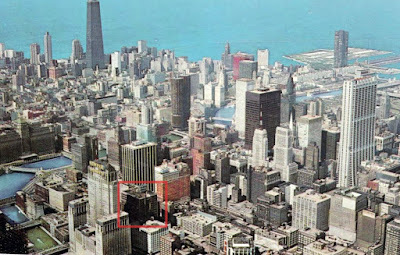 And Chicagoans should take an eager, continuing, and responsible interest as Illinois Center plaza gradually develops . 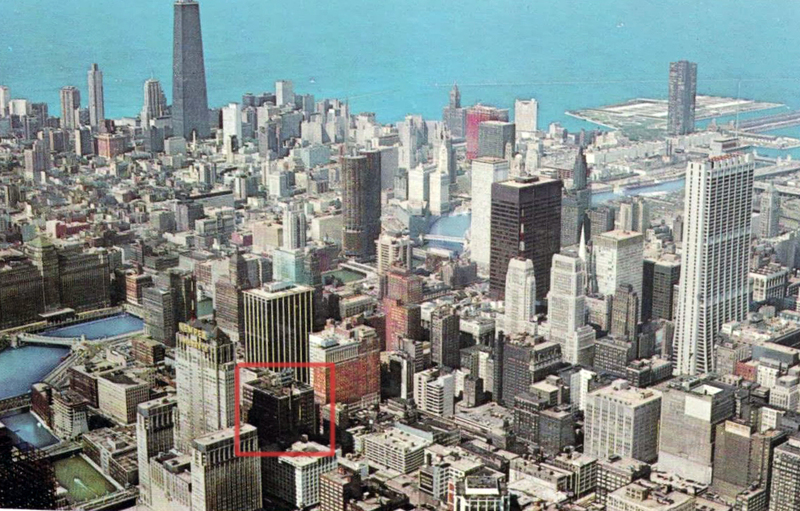 . . A brilliantly successful development here will be a civic asset the importance of which it would be almost impossible to exaggerate.” [Chicago Tribune, September 19, 1969] The photo at the left shows the approximate area where the Hyatt Regency Hotel stands today.